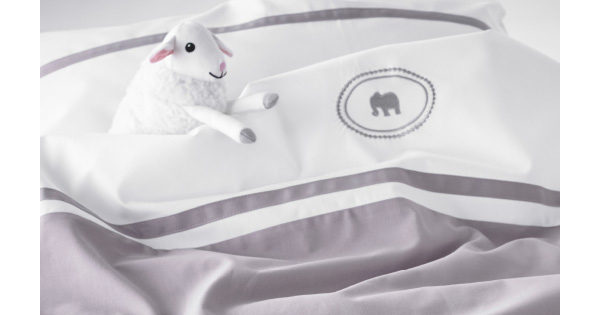 It’s no secret that setting up for a baby can leave you feeling much lighter in the pocket – after all the big must-have items, there’s often not much left for decorating a nursery. Never fear though, Ikea, as always, offer affordable solutions so you can create a cracker of a nursery on a very little budget and get some serious bang for you buck along the way – every piece of Ikea’s new Charmtroll collection is priced under $25! The new Charmtroll collection sees a sensational unisex lineup of sweet and serene neutral taupe toned textiles, including a quilt cover and pillowcase set ($19.95), elephant print quilted blanket ($17.95) and a top sheet and pillowcase set ($19.95). 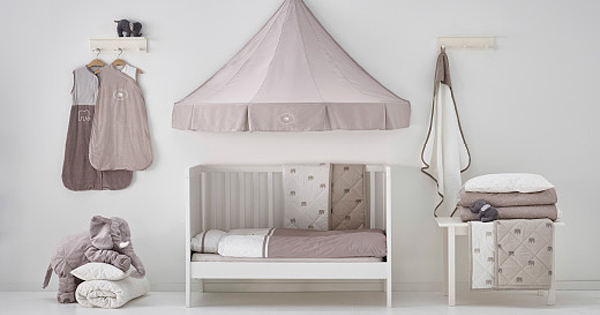 You can even buy a coordinating bed canopy ($14.95) to add some serious theatre to your little one’s space. Included in the Charmtroll collection are baby sleeping bags – which we think you’ll agree are incredible value – the 0 to 6 month size is priced $19.95 and 6 to 18 month size will set you back just $24.95. Cheap and cheerful all the way, there’s no denying Ikea is awesome for kids. Ikea textiles are not only comfy, they’re durable and can stand being kicked around, thrown in and out of the cot countless times and will survive many a turn in the tumble dryer. Head to your local Ikea to shop the Charmtroll collection!